. يقدم Reavers Lodge خدمات لا غبار عليها وكل أشكال اللياقة وحسن الضيافة اللازمة لإسعاد ضيوفه. يقدم الفندق فرصة للاستمتاع بشريحة واسعة من الخدمات بما فيها: خدمة غسيل ذاتية, تسجيل وصول/خروج سريع, تخزين الأمتعة, واي فاي في المناطق العامة, صف السيارات . يمكن للنزلاء الاختيار من ضمن مجموعة من الغرف المصممة بعناية لتعكس جواً من الراحة، والتي يتجاوز عددها 92. يقدم الفندق مجموعة واسعة من وسائل الراحة المتنوعة، كمثل: حوض استحمام ساخن, التزلج على الجليد, بلياردو, كرة الطاولة, حديقة. إن كنت تتطلع إلى إقامة مريحة وهادئة في كوينز تاون، فستجد في Reavers Lodge بيتك الثاني. They have their own bathroom and mini kitchen. The room is very clean, even the bed sheets. 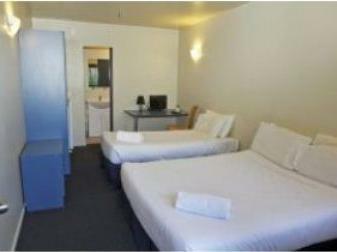 This is the cheapest among all others in Queenstown and it will not disappoint you. Although the property is located uphill, it's still okay. Will surely come back. 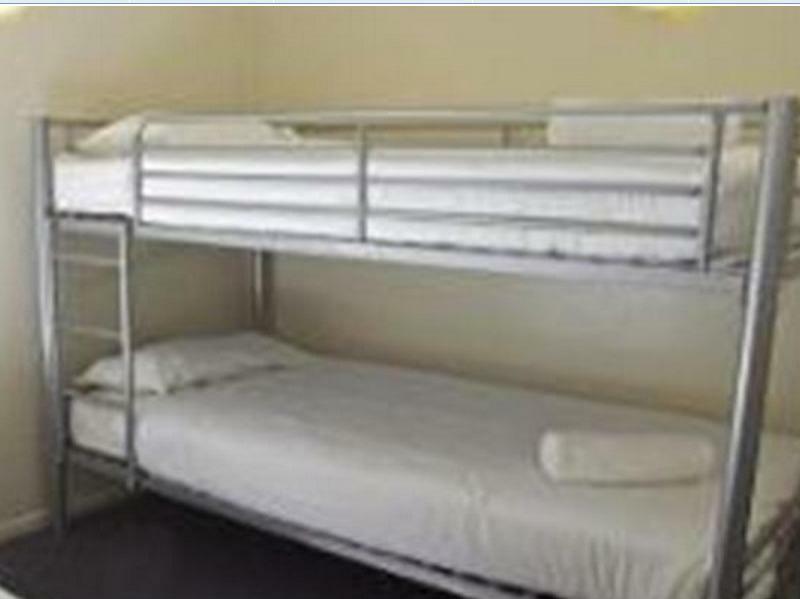 There were 3 of us so we booked a loft room. The bed was comfortable, but mind your head on the loft level as you cannot actually stand - even if you're a hobbit. Breakfast was decent and staff in the cafe was friendly. Parking here was rubbish. If you want a spot, check in early and DON'T move your car thereafter. Which means you have to hike up a very steep slope to get to your room after a night out - no fun when it was dark and you're tired or tipsy. There was no internet in the room, only in the unsheltered common area downstairs - not sure if I want to be there when it was cold and rainy. The "kitchenette" has only a kettle and some dishes. No pots, no stove. So you cannot cook anything except instant cup noodles. The coin laundry machine has restricted hours, so check that you have ample time to wash and dry your clothes during your stay, and bring your own detergent. Speaking of laundry, there was also no place in your room to hang your laundry - no dryer in sight either. Interesting and friendly place.Small but adequate rooms with good views from top floors( all stairs).No night staff or security after 8 PM.A good little bar with good food at reasonable prices.Lots of backpackers a bit noisy after the pub shuts till they settle down. The room with kitchenette is at the top floor which there is no lift so it will be difficult if you are travelling with luggages. The shower is difficult to adjust the water pressure and heat level. no free wifi in the room, you have to be at the lobby to access the free wifi. The frying pan provided was rusty and there is no salt and pepper provided. The hotel is clean and easy to access for sightseeing. There is a nearby supermarket as well. Continental breakfast was provided. Just a stair needed to be climbed. With a heavy luggage it will be a problem. Others were great. If you're only looking for a place to sleep for few hours before heading out to continue your adventure in Queenstown then this is the place to stay. Close to city centre. And that just it. Nothing special. Good location is a bonus. The location is not as convenient as other reviews suggest. The hostel is located on a very steep hill and when we arrived, no parking space was available, so we had to park at the bottom of the hill and walk up. Also, it is not just a short walk to the town centre... The hotel room was very small, but I guess, okay for a hostel. Even though it's so small, there were numerous lights on the walls, of which not all worked - very weird... The bathroom was so tiny that I couldn't even put my stuff anywhere. Moreover, the noise level was at times very high, especially when a group cleaned their hiking boots for an hour just in front of all the rooms... 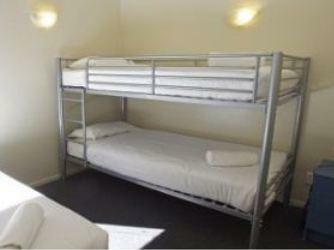 So, if you are used to busy hostels, it might be okay, but it is definitely no place to relax. Breakfast was okay, all the basics, like toast and cornflakes. Food was okay but the buffet was definitely too crowded. Staff was friendly though! Cold dribbling shower, paper thin walls, gross breakfast unless you are under 12 or very unhealthy, disinterestedstaff, and lots of noise. But nice views from the balcony, close walk to downtown viathegindola base and reasonable room fora family! We stayed in room 45 (loft room). It was compact which was made worse by an oversized round coffee table that took up all the available space making the room almost claustrophobic. However we pretty much were only there for sleeping so it wasn’t too bad. It would be different in winter when you spend more time indoors. The TV only had 2 channels. We stayed 5 nights and were never able to have a shower in the mornings. The water flow was almost non-existent. Someone weeing on my head would have produced more flow! So we only showered in the evenings. The location is great. 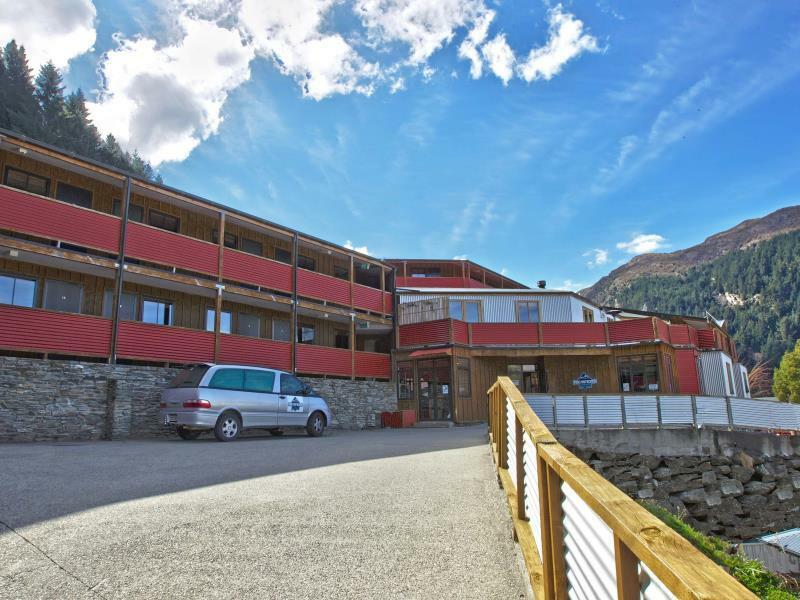 Only a 10-minute walk to the Gondola and waterfront. We left the car at the lodge and walked everywhere. Continental breakfast was good apart from the desperatly slow toaster. It was quicker to grab bread from the restaurant and use the toaster in our room. Despite some negatives, we would go back. We booked the loft because the pictures on the website showed the room to be more spacious. The upper deck bed area was really cramped. Walls were thin so our toddler had trouble sleeping when guests next door spoke loudly. View was nice but not without a crazy high climb if you did not drive. Staff was friendly and helpful, breakfast selection limited though. Overall ok for a short stay but don’t think I will go back. The rooms smelt really bad when we entered at first.The room didnot appear neat and clean.Disappointed. This is the worst place I have ever had the misfortune of staying at. Do not stay here. This was a huge disappointment. Room located on 3rd floor (not advertised as such and with no lift) with mezzanine area in the room for 2nd bed. Beds were very soft and had no legs meaning that they were very low. Tap in the kitchenette was swinging off it's hinges and water flow was poor to none existent. Shower was a trickle running from hot to cold on it's own. Walls were paper thin meaning we were subjected to the pounding of neighbouring units. The 'free' breakfast did not appear sanitary - with people poking their dirty knives into the jam and butter. Parking on the steep driveway was a challenge. We left Queenstown without bothering to enjoy the area as the accommodation was so poor it put us off the area.